Forgot your nephew’s birthday? 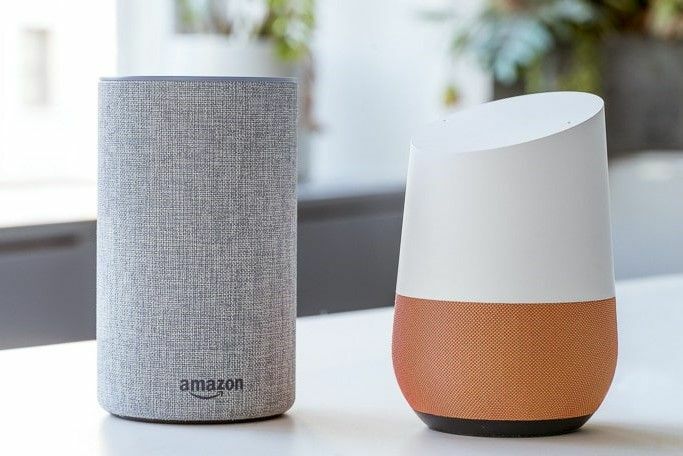 OhmConnect’s got you covered. 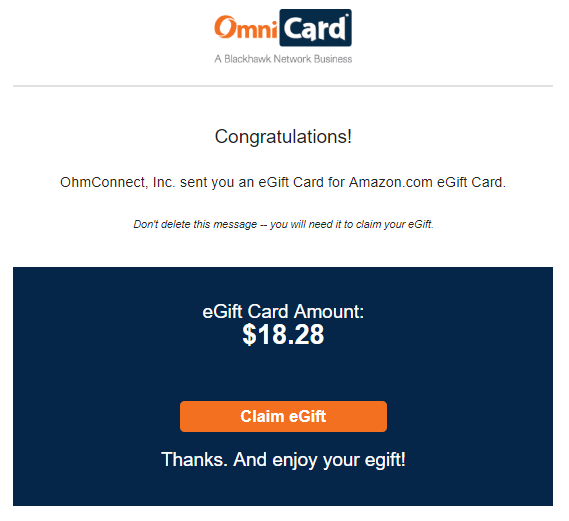 Now you can get an instant gift card delivered to your email inbox! I don’t know about you, but personally, I have trouble visualizing money when it’s just sitting in a bank account, or in something even more remote, like my account on a money making app. 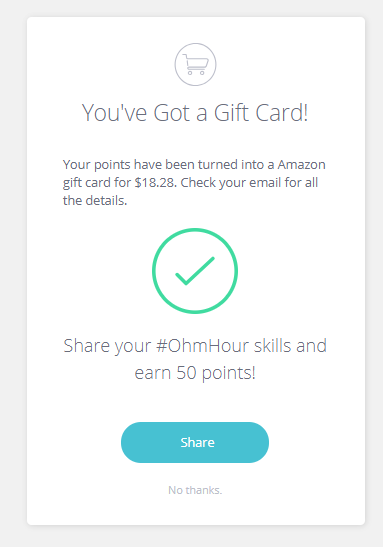 So even though I know I’m earning real money saving energy every week with #OhmHours, months can go by when I don’t cash out because I can’t quite picture what I’ll use the money for. 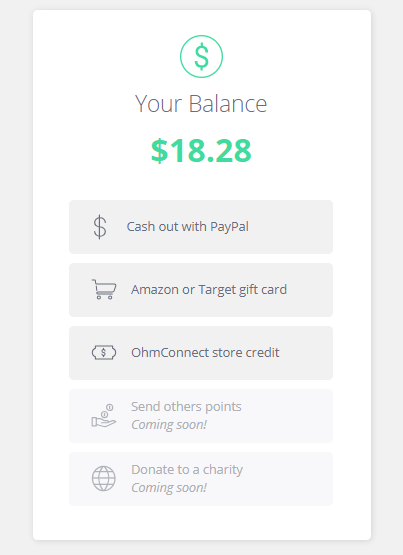 Needless to say, I was THRILLED when we started talking during product meetings about the latest update to the OhmConnect platform: the ability to cash out OhmConnect points as Target or Amazon gift cards! Shopping on Amazon for new bike lights, or jetting to Target to pick up groceries for the week? Now THAT is something I can imagine. 4. 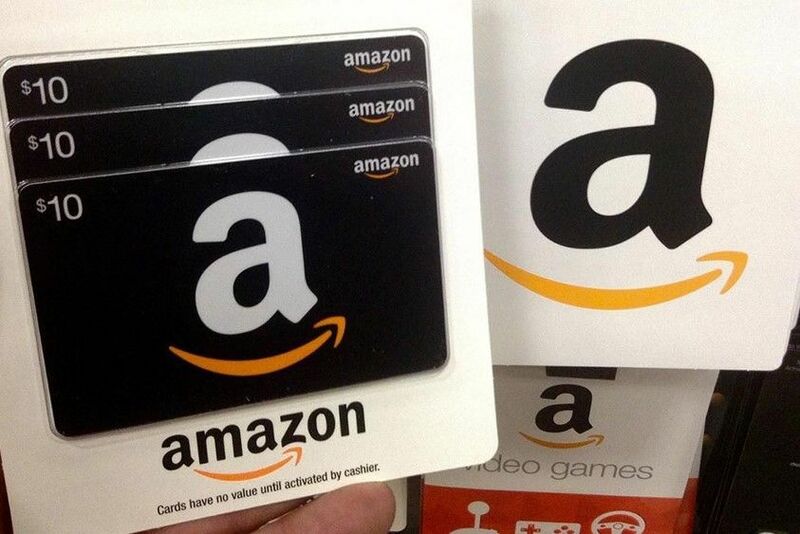 The gift card was confirmed! 7. 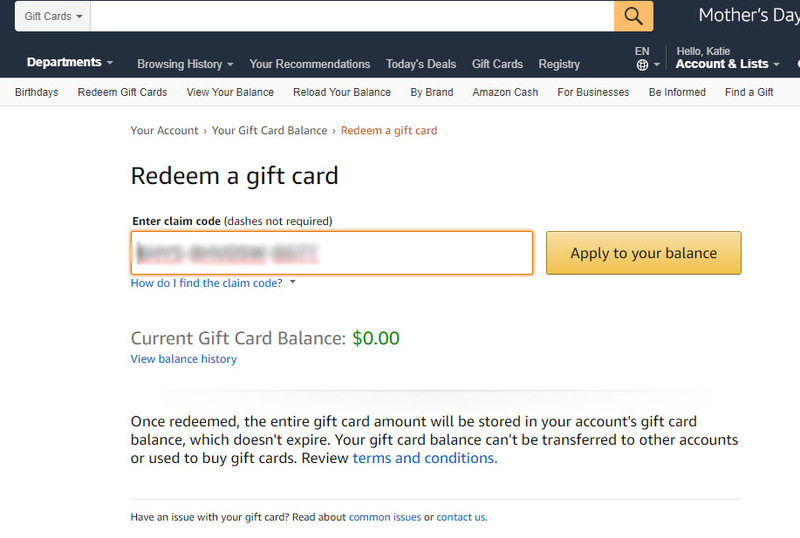 I landed on a page that looked like this, with my gift card redemption number already filled in, and clicked “Apply to your balance”. 8. Voila! 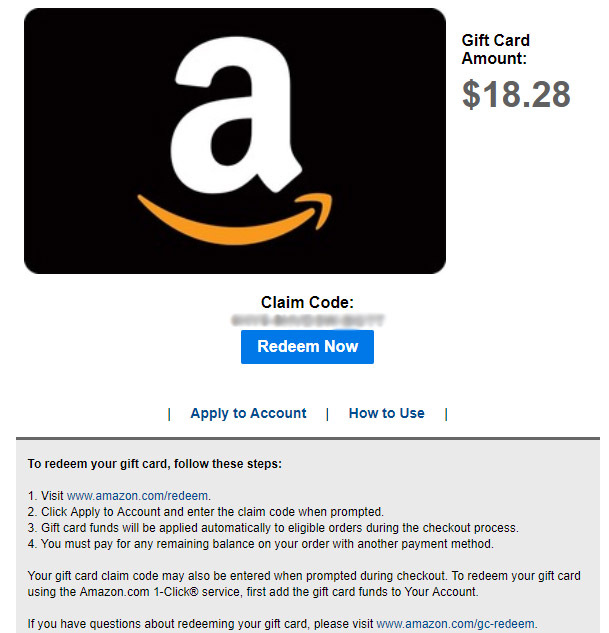 I had $18.28 as balance in my Amazon account! New bike lights, here I come! Note: The new cashout will be rolled out to all users over the coming week. If you don’t see it yet, hang tight for a day or so! 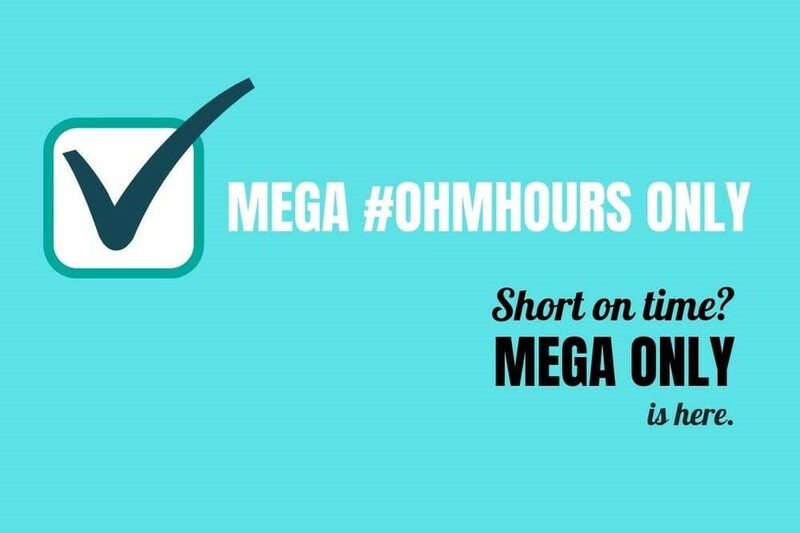 New Feature: “MEGA Only” #OhmHour participation! 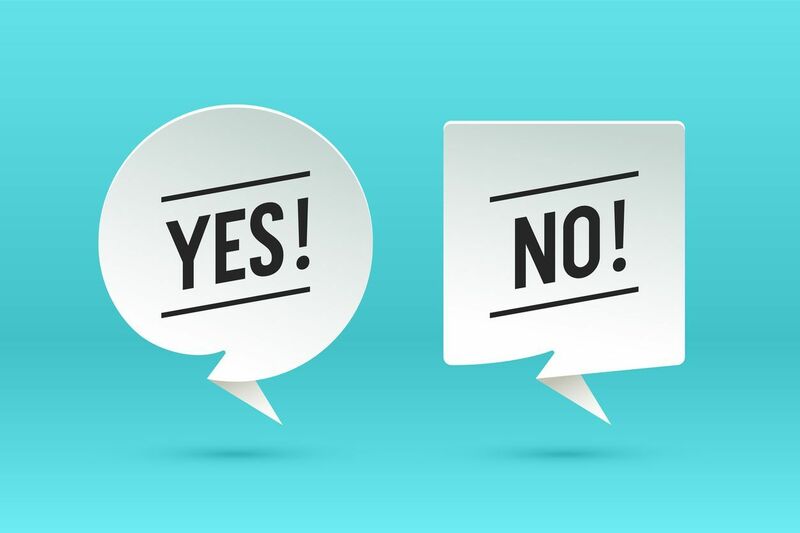 Limited New Feature: You could vote for your next #OhmHour! © OhmConnect, Inc. 2019. All rights reserved.